Leading role in the short film “CAPRICORNIO”. Winner of Premio del Público in the Festival de Cortometrajes AND (2012). 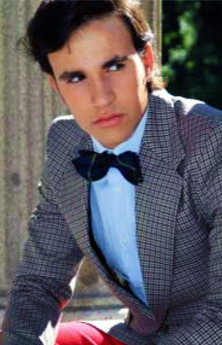 Episodic character in the pilot series “HISTORIAS DE LOS DEMÁS” – Dir. José Luis Berlanga (2011). Leading role in the short film “QUINCE” – Dir. Beatriz Vallhonrat Blanco (2011). Leading role in the music video: “Prefiero Reir” – Lui (2013). Leading role in the Web Series “Acoplados” (2013). Actress in the theater play: De-Sideris. Winner of “Premio Nacional Buero Vallejo (2010-2012). Leading actor in the short film “Quen rouba rosas das avenidas da morte”. Supporting role in the Web series “RUNAWAY la serie”.